In 2092, Sergeant Major Sullivan, aged 28, attended the grand opening of a museum housing previously looted antiquities recaptured from The Enemy. 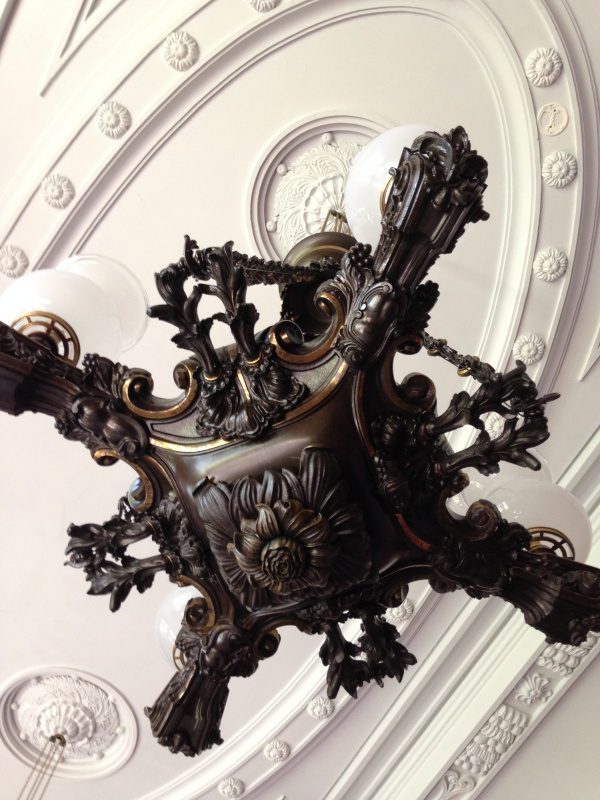 One such antiquity was an ornate, rather hefty cast iron light fixing. During a speech delivered by General Kahn, head of the United European Federation Army, the fixing came away from the ceiling and plummeted down onto Sullivan’s head, killing him outright. The alternate history was that in 2092, Sullivan attended the same museum opening, but as an enemy operative. Thus, the antiquity killed General Kahn instead and started World War Three. In 2093, scientists invented a time machine in both alternatives. Hmmm… Let us ensure WW3 does not come to pass! Just wish we could have more influence upon those in power. There’s too much violence out there, along with further dangerous posturing and game-playing. It makes the characters in “Game of Thrones” seem like pussycats in comparison to the sabre-toothed world leaders in real life! Either way, General Kahn is in for a major headache. Let’s let it happen AND save lots of other lives! On the other hand, you never know what Sullivan might get up to if he lives i.e. start World War Three anyway, but as an enemy operative with another set of weapons at his disposal! You always surprise me Sarah with your unique ideas – think I’d have to vote for WW3 and hope that was for the best. Thank you, Andrea. I often surprise myself with my own quirky ideas and ask “where do such weird thoughts come from?” It would be interesting to know how many other writers feel that way! Stories involving time travel and alternate realities have always fascinated me. Your story is no exception. Good job! Likewise, I’m forever fascinated with time travel and alternative reality themes. In fact my first attempt at writing a novel was a time-travel romance. There is something about time travel that makes one’s head spin. I think it’s the vast number of possibilities and this feeling of never quite grasping the one proverbial nut and bolt that will make the whole concept fall into place and become clear. Not sure that I’m explaining myself properly, but hope you know what I mean! I know exactly what you mean, Sarah. That’s how I feel about it. And into the future we go. Though I hope that it doesn’t bring about a WW3. Indeed, let’s hope all those warmongers out there come to their senses before it’s too late. I would actually try to fix that chandelier.. neither alternative appeals to me. Now that sounds like a most practical solution. oh my!! I find parallel universes very disruptive!! Great story Sarah! I pointed out to Mister the other day, when he took me for a spin in his sports car, that on that very stretch of road along which we were speeding, there were countless multiverses. He’s quite used to my random comments! Thank you, Susan. I think there are so many mysteries that we’ll never know in our lifetimes because we’re not meant to, but perhaps in the hereafter all those multiple dimensions will be revealed to us! It’s fun to surmise. Sarah Potter Writes Blog at WordPress.com.